Granite Industries is setting the stage for a brilliant 2015 ARA SHOW! Granite Industries lives by the motto “Continual Innovation”. Never content to sit back and rest, we are always striving to develop new products and improve old ones. 2014 was no different as we introduced new hand carts, electric carts and adjustable walkboards. Old carts were updated and improved as can be seen with our Dual Chiavari Chair Cart (released at the show). We hope you notice a refreshed booth look this year and that brings out our commitment to excellence. Granite Industries makes a variety of products across many different industries. In an effort to minimize confusion and maximize marketing efforts we have separated American Cart and Overland Electric Carts. American Cart hand trucks are manufactured by Granite Industries at the Ohio Plant. American Cart covers all the manual carts and hand trucks under the Granite brand. In short, this is our manual material handling division. 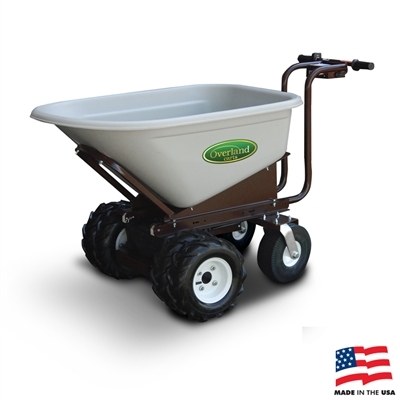 Overland electric carts and wheelbarrows are also manufactured by Granite Industries at the Ohio Plant. Overland covers all electric power train carts under the Granite Brand. In short, this is our motorized material handling division. Take a brief look at the top categories that will be featured at this years ARA Show. The right tool for the job is a mantra that has been around for quite a while but still rings true. American Cart believes in providing a well made cart that consistently performs to professional grade expectations. All American Carts are made from tubular steel. This steel is hand welded and then powder coated to ensure exceptional fit and finish. 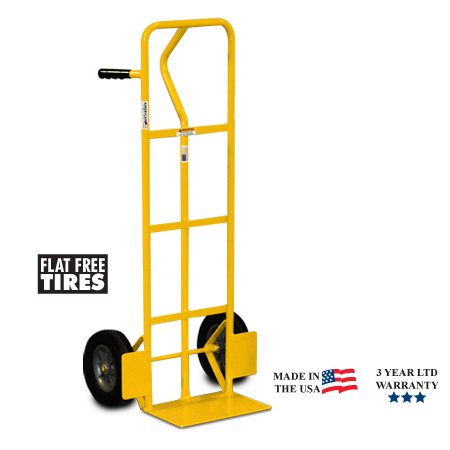 Offering a full line of basic hand trucks to specialty carts, there is something for every industry. If there isn’t a cart for a job, we can develop one. All American Carts are made in the USA. Overland Electric Wheelbarrows are built to make any job more efficient. Save time, labor and cash with the well built and tested Overland Cart. The weight capacity of 750 pounds offers nearly unlimited options. The 10 cubic foot hopper is double that of a standard wheelbarrow. The electric drive train features a US made differential and electric motor. 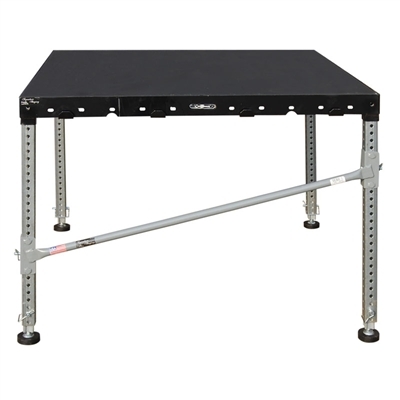 The chassis is engineered and manufactured in the US from top quality steel. No oil changes, air filter changes, or bearings to grease. Minimal maintenance, maximum productivity. Scaffolding is a core product of Granite Industries. Over 40 years of experience in the scaffolding industry goes into each frame. Most scaffolding is designed, manufactured and powder coated in house. The result is a long lasting frame that is built with innovative safety features. The spring loaded walk board security system is a patented Granite feature. 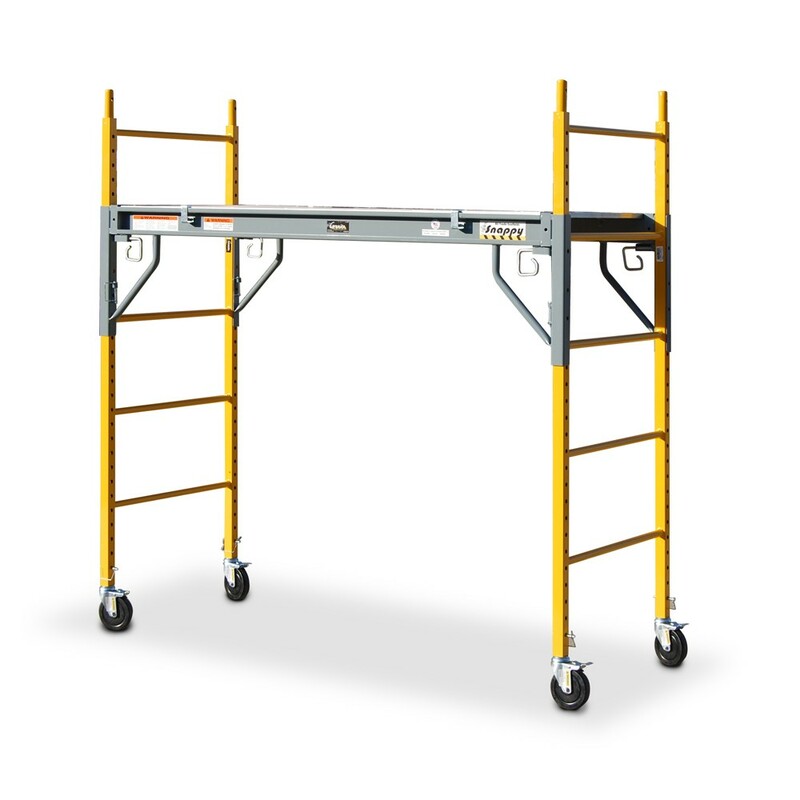 The Snappy Utility Scaffold features a patented spring loaded G-pin for quick and safe adjustments. Granite also offers completely custom scaffold packages. Granite offers a variety of bleachers for almost any event. 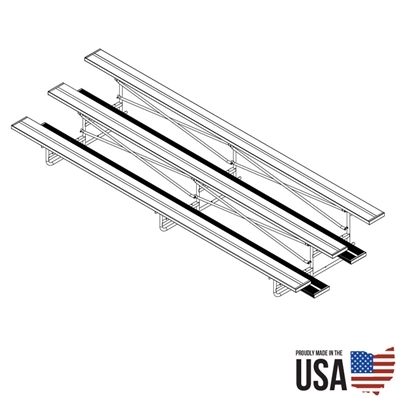 The basic Signature Bleachers offer the stability of a steel frame with the finish of aluminum seatboards and footboards. Stepping up from the basic signature line is the Deluxe Series, featuring double walkboards and guardrails. For portable seating options we off the exclusive Fold-N-Tow Bleacher System. Granite staging is based around the core Signature Steel Stage. Developed by Granite, this staging features a steel deck frame, plywood top and steel legs. The steel frame is powder coated. The steel legs are galvanized. As the demand for aluminum staging has increased, Granite developed the AXIS aluminum stage system, which uses aluminum framed platforms and steel legs.